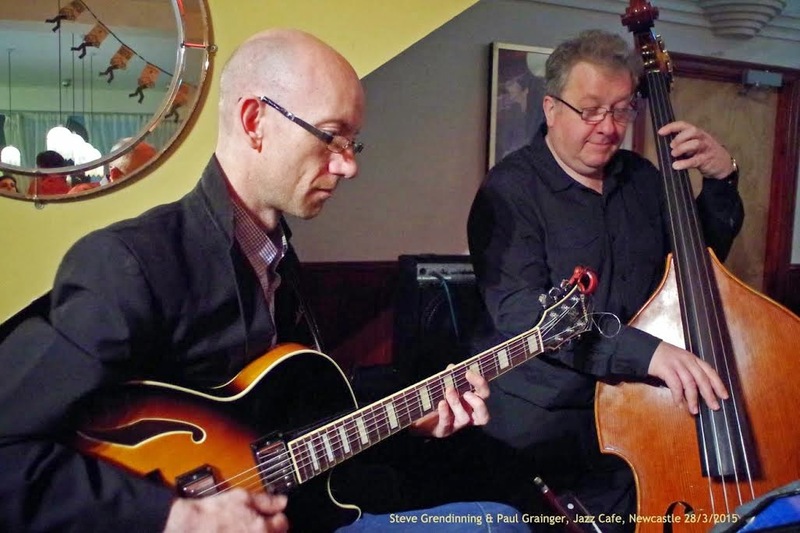 Horizon – an original by Stephen Glendinning exhibited that not only can this clever musician play creatively with imagination, but he can also write superb and inspirational tunes. Ralph Rainger’s If I Should Lose You and Victor Feldman’s upbeat Seven Steps to Heaven brought the first set to a close. Now I really feel I need to make reference to the many jovial comments over the course of the evening, regarding the different composers and their family relationships to others… I particularly liked the Marty Feldman one… a friendly poke in the ribs at Don Forbes who was in the audience, who had often commented at his own gigs that Marty was the brother of Victor, which actually, when investigated by Paul Grainger proved to be totally untrue. On to set two and by now the Jazz Café was pretty full, attentive ‘Jazzers’ to the front and further back an appreciative but chattier crowd. A cracking start with Straight No Chaser, again this duo shone - executing superb solos. 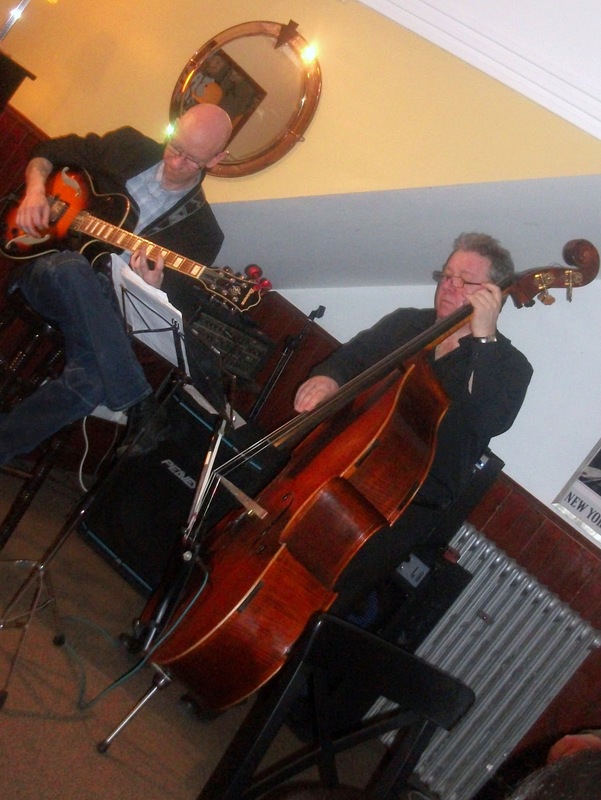 Up next was Waltz for Ruth, with an intricate guitar intro and a bowed bass to end… gorgeous! If You Never Come to Me preceded more Metheny in the form of Question and Answer, and a delightful rendition of Jimmy Van Heusen’s Polka Dots and Moonbeams, another chance to hear that beautiful bowed bass. A second original composition, this time from the talented Mr Grainger, Swim - I am yet to hear to story behind this composition, as promised some time ago, it but it’s a great tune. A few more terrific tunes, Witchcraft, followed by Stevie’s favourite, Stella By Starlight, and then the duo’s namesake tune Four on Six was supposed to be the last one, but the crowd yelled for more and we were treated to a smashing upbeat version of All The Things You Are. Fabulous evening and if you missed it well there’s another chance to see the superlative Stephen Glendinning this evening at The Bridge where he is joined by the magnificent Mark Williams as they come together as Duende.